That’s right, Zumba has come to town! Zumba is a fusion of Latin and International music & dance that creates a dynamic, exciting, and effective fitness system. Music is the key ingredient to Zumba classes. The score, created with specific beats and tempo changes, transitions the workout from one toning, strengthening or cardio move to another, and targets every major muscle group in the body. The Zumba program borrows Latin flavor from the following dance styles: Salsa, Merengue, Chachacha, Samba & Tango, to name a few. 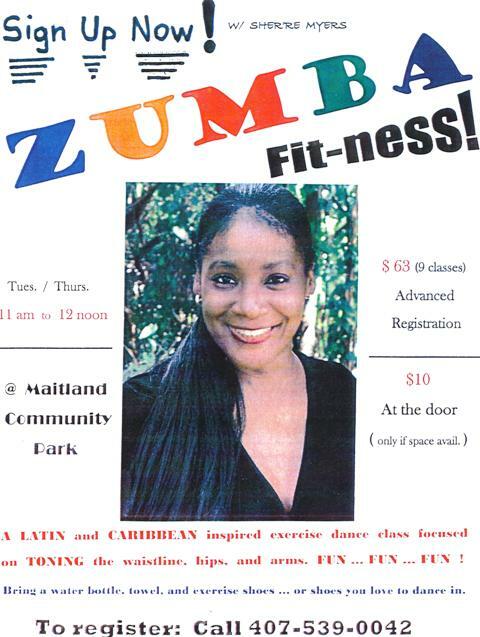 The City of Maitland graciously host these classes at 11am Tuesday and Thursday at the Maitland Community Park. The cost is $10 at the door, and $7 by advance reservation. Come join the fun and get a grat workout too! 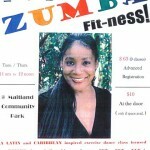 Instructor Sher’re will keep you laughing and moving to the music. Call 407-539-0042 for more information or to reserve your space. The Maitland Community Park is convenient to Thurston House, the only bed & breakfast in Maitland or Winter Park.